Raise your hand if you love pizza! Now, raise your hand if you love to eat pizza for breakfast! Okay, so I’m not advocating that you eat pizza all the time, let alone for breakfast, but I have come up with a delicious recipe that you could eat for any meal of the day! I love that it’s easy to make and easy to grab with your hands/portable (just like this post). 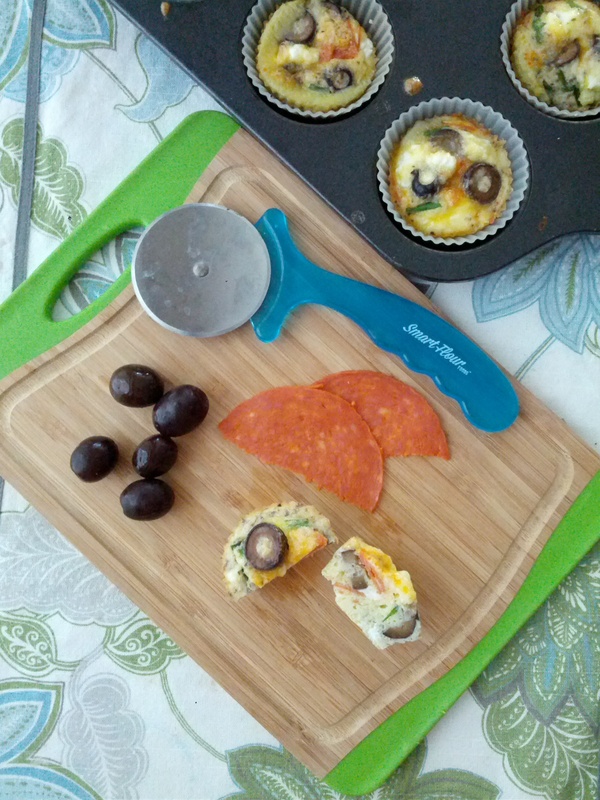 I was getting ready for the week, and prepping some egg cupcakes for Josh’s daily breakfast, when I discovered that I had all the ingredients for pizza. I don’t typically keep lunch meat on hand, but sometimes it’s nice to have food at the ready. I had picked up some Applegate Pepperoni and goat cheese the previous week and that got the wheels turning. How about I make pizza portable and for breakfast?! I gave it a shot, made some tweaks, and came up with this delicious recipe. Sadly, since Josh doesn’t like olives he didn’t get to try them (my bad!). You can always add or take out ingredients depending on your likes. Try it out and let me know what you think! Also, let me know what else you add to tailor them to taste like your favorite pizza. Line a baking sheet with silicone baking cups and set aside. Blend eggs, bacon grease, Italian seasoning and salt in a mixing bowl. Using a ¼ cup measuring cup, fill the baking cups ¾ full. Put in oven and bake for 15 minutes. Let cool and eat immediately or store in fridge. 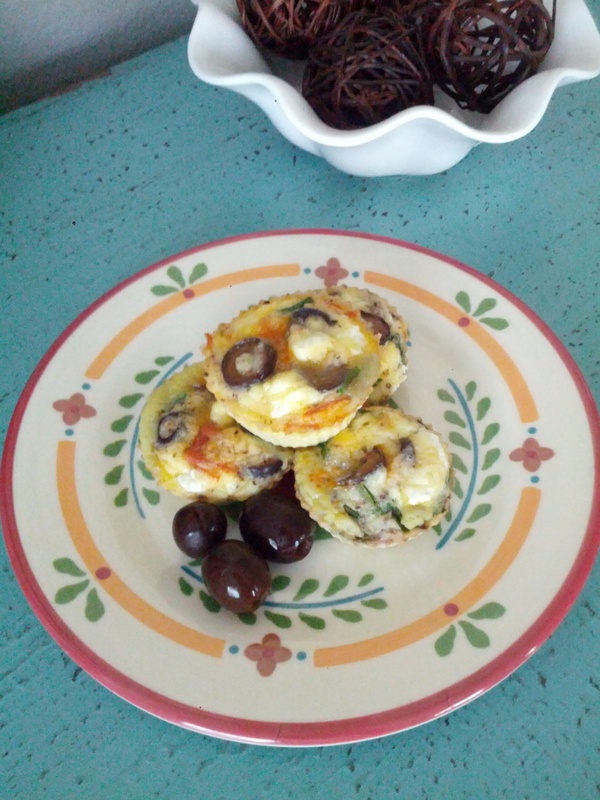 Made these today with onions, peppers,pepperoni, mushrooms and black olives (except for Mike, of course our hubbies both don’t like them! ), and tomatoes. Let you know how they are tomorrow. The verdict is: SUPER YUMMY!! I think the olives really made it taste like pizza. Did put some cheddar cheese on top and the kids were excited for that!